Even with the holiday gift-giving frenzy behind us now, kids seem to have an insatiable appetite for stuff—the must-have toys, the most on-trend clothes, or the latest tech gadget. Maybe you give in because you want your kids to have the kinds of things that you missed out on as a kid. Or perhaps you feel ambivalent about setting limits. Or maybe you don’t want your kids to feel disappointment. We all want our children to be happy but constantly giving in can make it difficult to teach them what truly matters in life. When your child becomes demanding, as button-pressing as it can be as a parent, you can use that behavior as a red flag to get clear about your own priorities. Are you feeling guilty from not spending enough time with your children? Have you been using bribery as a way to get your child to cooperate? Take a step back and you might see that your child needs your presence more than anything else. So what can you do right in the moment to connect? What kinds of rituals or traditions can you create to spend more time connecting on a regular basis? Include your kids as part of the conversation and brainstorm about what experiences you want to have as a family. It’s natural to want something and feel disappointed when you don’t get it. The last thing we want, though, is to make our children feel that they’re greedy or powerless to make their own choices. Instead of shaming, we can ask our children what they can do. For example, what kinds of extra chores can they do around the house to earn the fancy new sneakers they must have? Madeline Levine, child psychologist and author who has been a great partner with Parents Place, suggests that cultivating this sense of empowerment is critical. We should not do for kids what kids can do (or almost do) for themselves. When kids have to work hard—whether through chores or through a job if they’re old enough—they get to experience working through challenges on their own. They’ll also acquire skills to become independent and learn the importance of contributing to those around them—and understand the value of a dollar. Think about your own relationship to material items. If you spend much of your free time shopping, for example, or if you discard (and then rebuy) something that can easily be fixed, your child will pick up on these habits, too. Levine makes the point that it’s important to kids’ well being that their parents are living lives that they find fulfilling and meaningful. “There is no parent more vulnerable to the excesses of over-parenting than an unhappy parent,” Levine writes. “One of the most important things we do for our children is to present them with a version of adult life that is appealing and worth striving for.” This means expressing gratitude explicitly. It also means showing—rather than telling—that you value nonmaterial things. 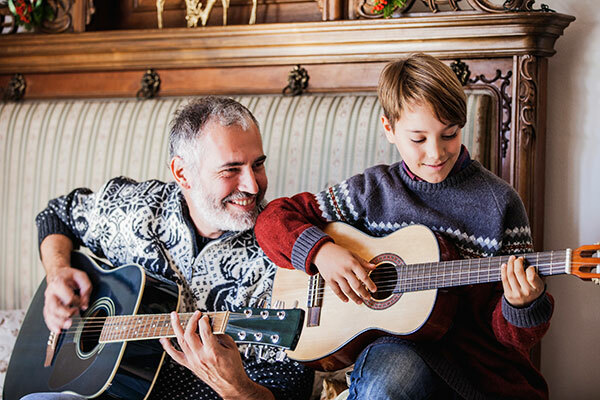 Whether that’s investing in relationships with friends and family, pursuing career goals or other passions, or giving back—your child will follow suit (eventually). If you’ve ever seen your child beg for a new toy after seeing it advertised on TV, you’ve seen how dopamine is activated when we experience something new and exciting. An endless stream of advertising around our children entices them to want things they believe they must have. Kids are especially impressionable because they often don’t understand the difference between shows and commercials. Aside from limiting screen time, you can also choose DVDs and commercial-free programming when you can. You can also help your children to become critical consumers of the media by teaching them that advertising is made to make you want to buy a product. When children can see that others have less, they naturally become less focused on getting more and more appreciative of what they do have. It’s helpful for children to understand this through direct experience. Give your child the opportunity to give back. Gather gently-used toys to donate. Deliver food to home-bound elderly people. Sort food at a food bank. Parents Place is a program of Jewish Family and Children’s Services which has several opportunities to volunteer as a family, even if you are not Jewish. Bringing up children who feel grateful for—rather than entitled to—what they have is no easy feat. But as with everything with children, the earlier you start something, the more likely it is to become a habit. Teaching gratitude in our children is a way to think about the values you want to pass on to your children and what is really important in making a meaningful life. posted with permission from Parent’s Place.